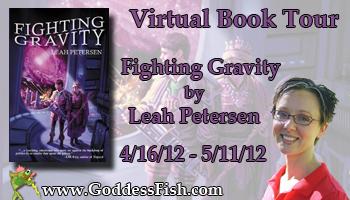 Today, Reviews and Interviews is the first stop of Leah Petersen's virtual book tour for her book Fighting Gravity. Round of applause for everyone for today's kickoff. Woo hoo! Leah has at least one giveaway to a lucky commentor during her tour. Details are at the end of the interview. Leah Petersen lives in North Carolina. She does the day-job, wife, and mother thing, much like everyone else. She prides herself on being able to hold a book with her feet so she can knit while reading. She’s still working on knitting while writing. 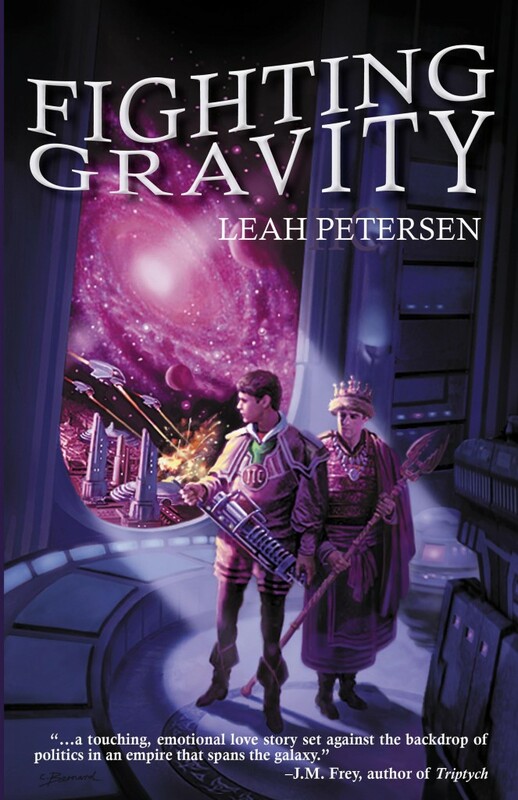 Fighting Gravity is her first novel. Welcome, Leah. Please tell us about your current release. The story itself. There’s always one in my head somewhere but this one would. not. go. away. I figured writing it was the way to purge it from my system. What came out of that cleansing exercise was actually readable and something I wanted to share. When I’m being good I’m working on the sequel to Fighting Gravity. When I’m not, there’s always some story of science or magic and tragic characters trying to become next in line. I’m a writer? Actually, I don’t know. Perhaps it was when I started trying to get my book published. Publishers generally expect you to be a writer, if you’re trying to sell your book. When I get stuck I go for a drive. An hour or two on a boring stretch of interstate can fix most small problems, the bigger ones I might need to plan to stay overnight at the other end. I don’t remember. A princess, probably. Well, queen. Empress, really. It’s not that I like responsibility, I just don’t like being told what to do. I once knit a spaceship for a friend. My husband still swears the finished product was a brontosaurus, though. You're funny. :) Thanks for being here, Leah. I'm happy to be the kickoff for your tour. Readers, Leah will be giving away at least one (possibly more) hand-knitted by her replicas of the symbol of the IIC (an important institution in the book) to randomly drawn commenters during the tour. So, comment here and leave your e-mail address, or at any of Leah's other tour stops for the next few weeks, for a chance to win. Sounds like an interesting read. Good luck! Thanks for having me, Lisa! It didn't look like a dinosaur to me! Thank you, Leah, for knitting it. 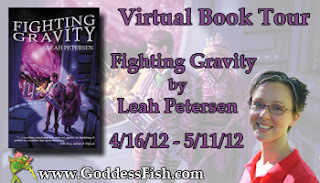 And thank you to the blog for hosting Leah for her debut. It's a fantastic book. It’s not that I like responsibility, I just don’t like being told what to do. LOl!! I totally agree. Love your cover, BTW -- that would sell me all by itself. Congrats on the debut! I, too, live in NC. LOVE supporting NC writers. Yay for NC writers! Thanks Catherine!